We all have bathroom clutter, it just goes with the territory; makeup, aftershaves, lotions, potions and little piles of discarded jewelry, it all adds up! 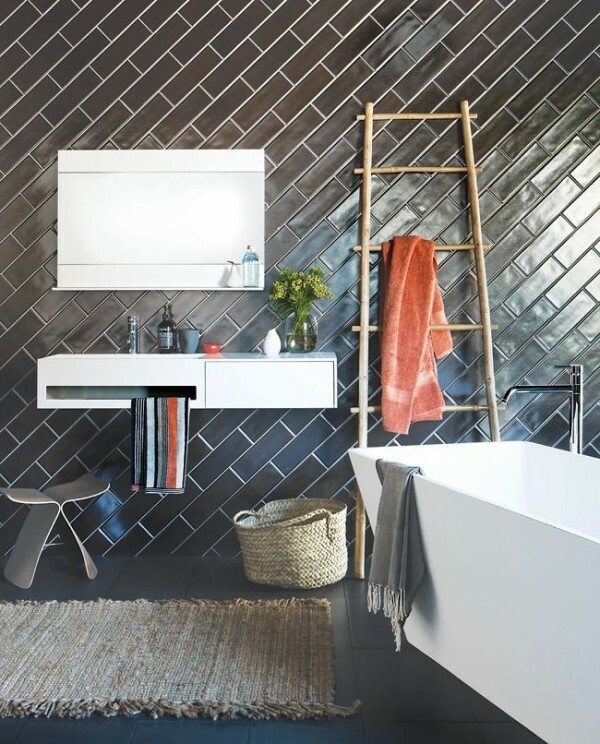 Before you know it, your beloved bath tub retreat can disappear under a heap of sundries that no one has the time or energy to sort out, and so it goes on... Well not anymore! 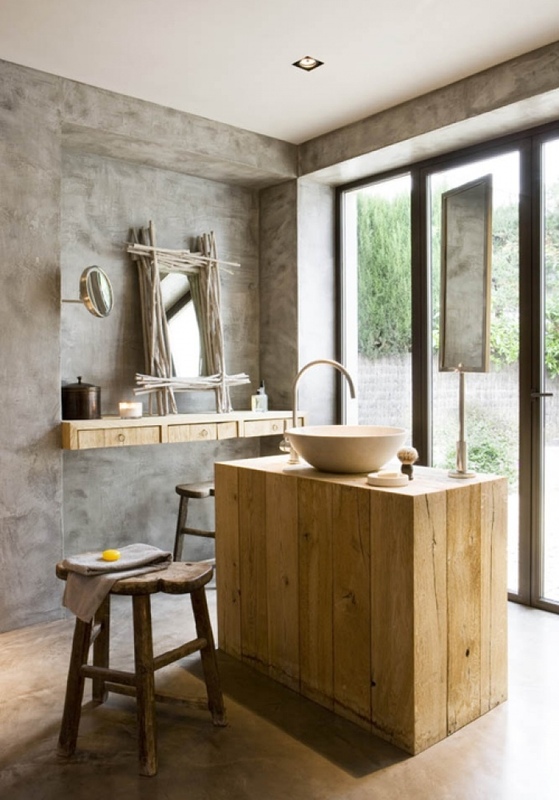 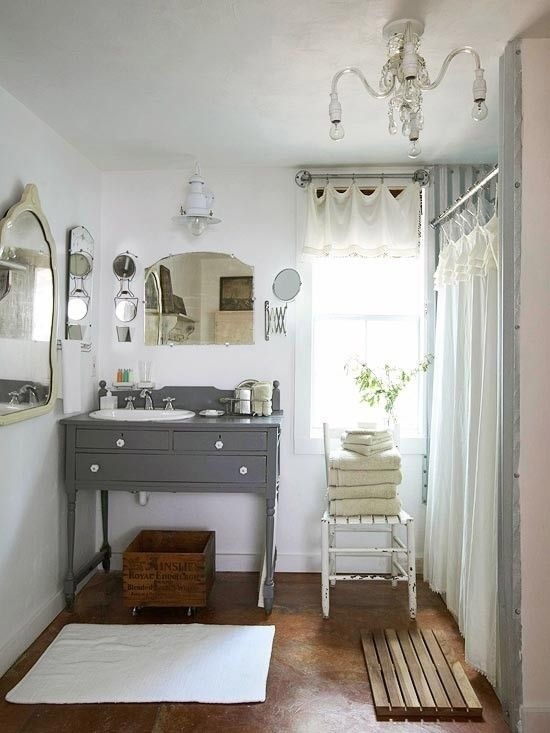 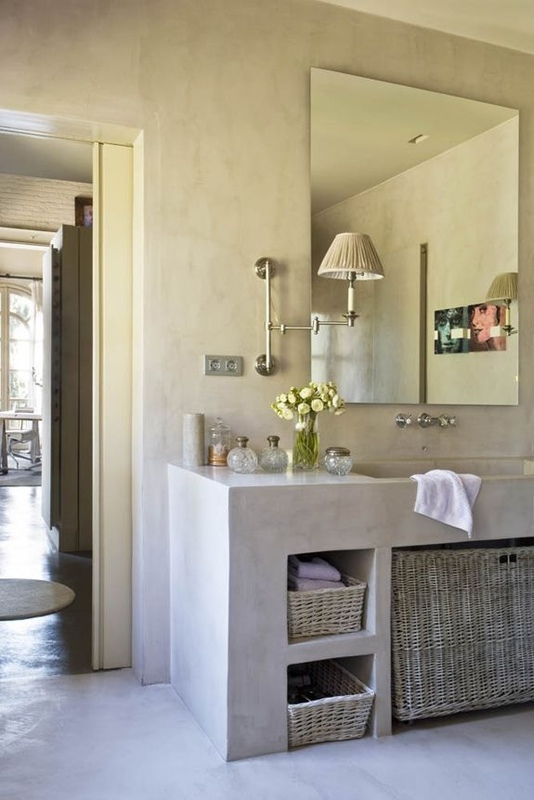 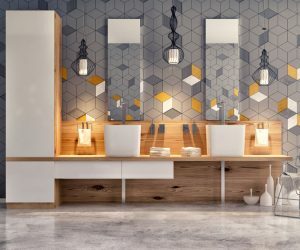 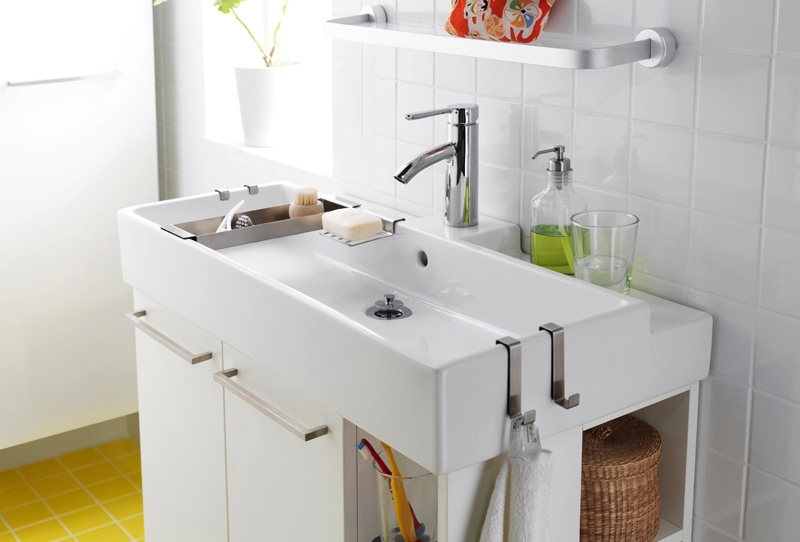 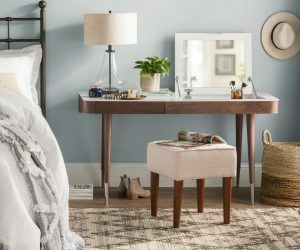 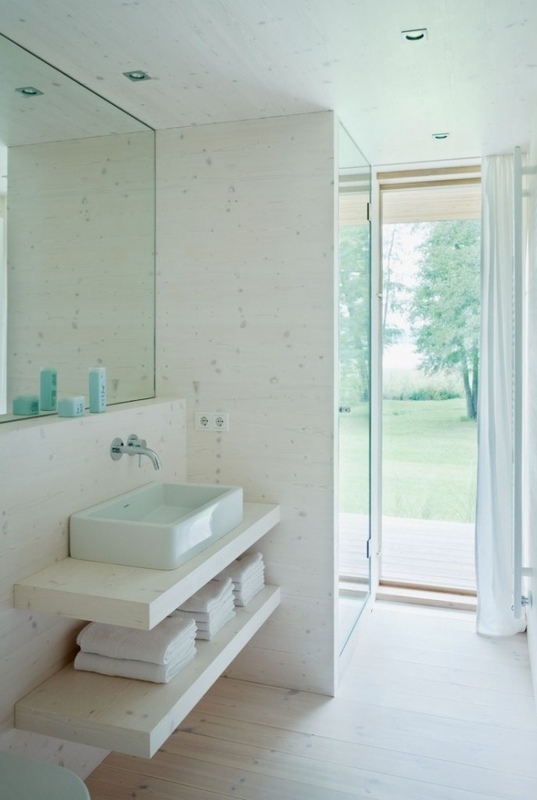 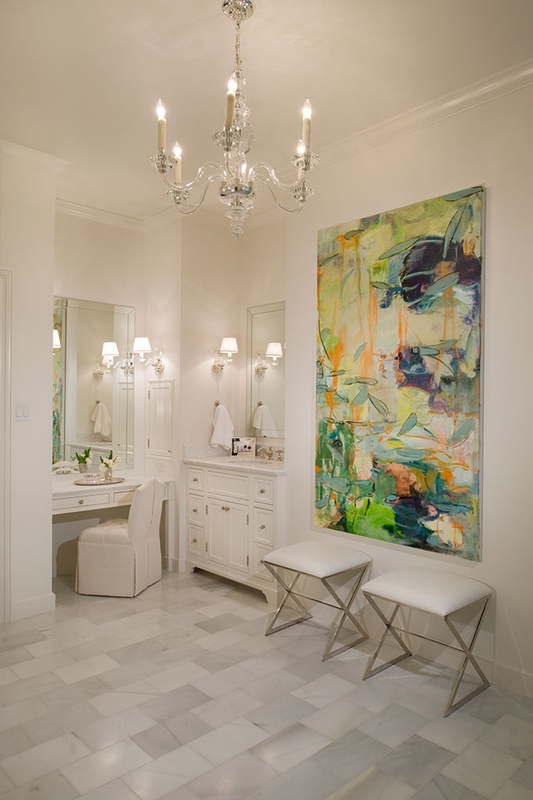 It's time to take another look at the space in which you dress and undress, and get things organized with these handy bathroom vanity ideas. 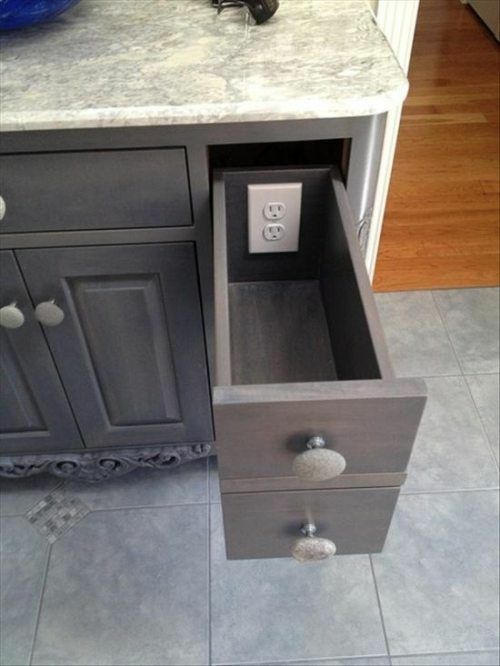 Even power points can be hidden away. 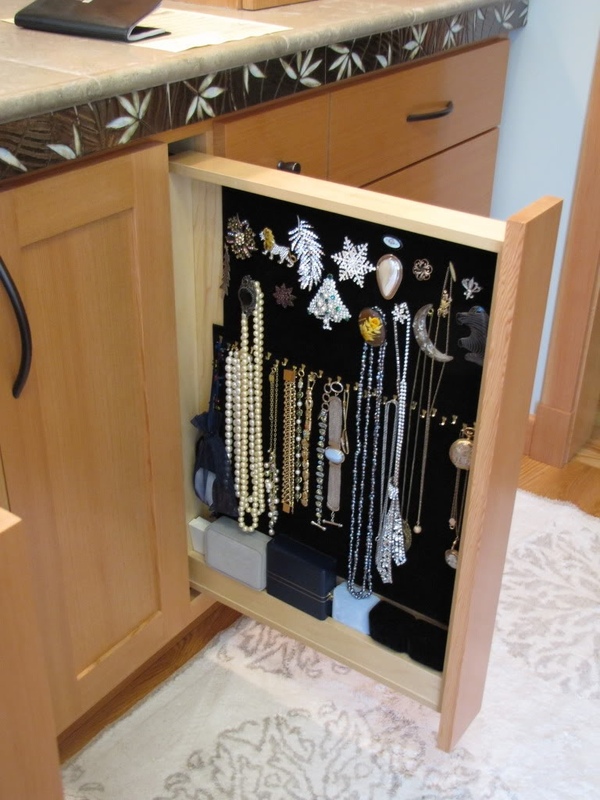 This nifty pull-out is an amazing way to keep jewelry out of sight–and necklaces tangle free! 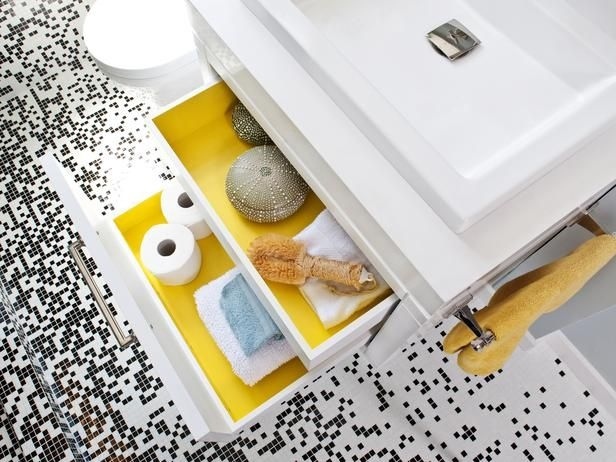 Drawers are an ideal way to house bits and bobs away quickly if you’re not great at decluttering and organizing. 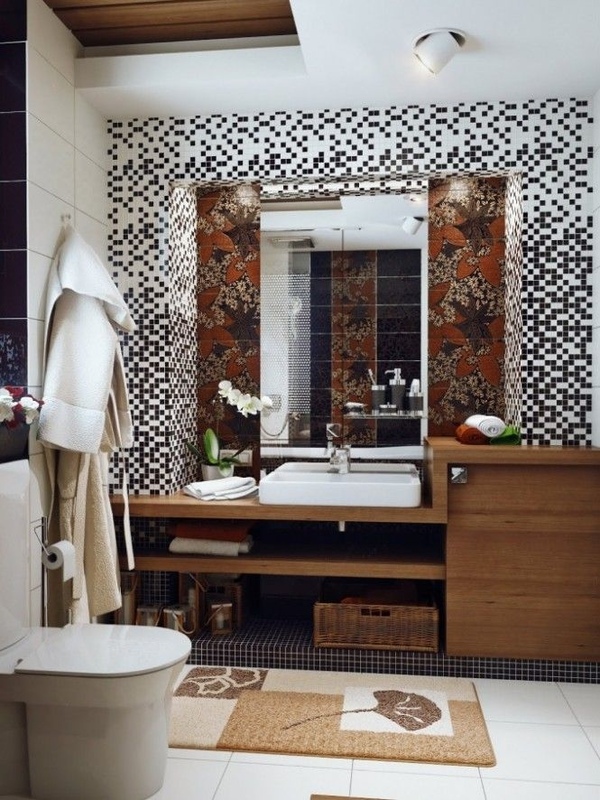 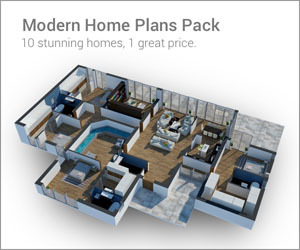 A wall mounted design also makes your floor space look bigger, and is easier to clean around too. 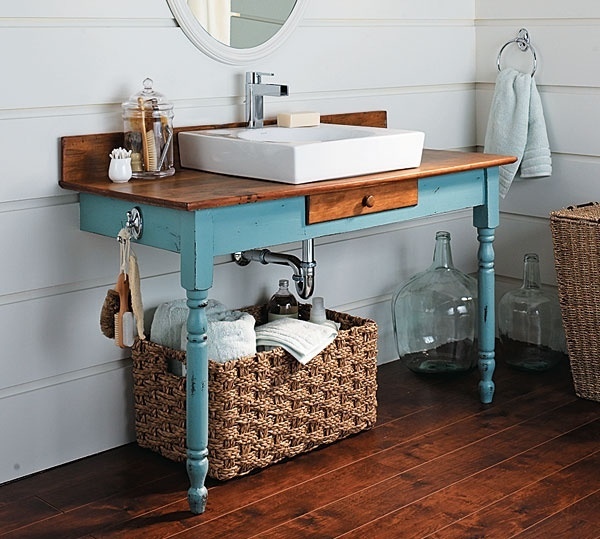 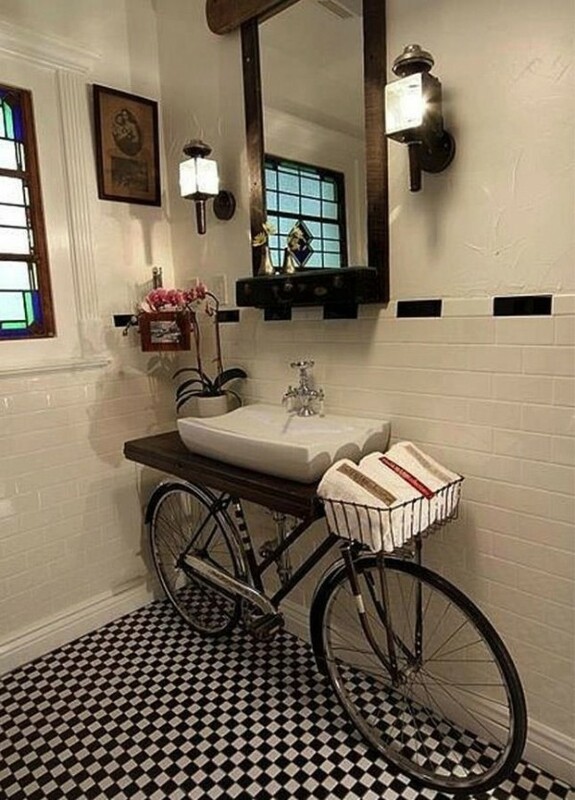 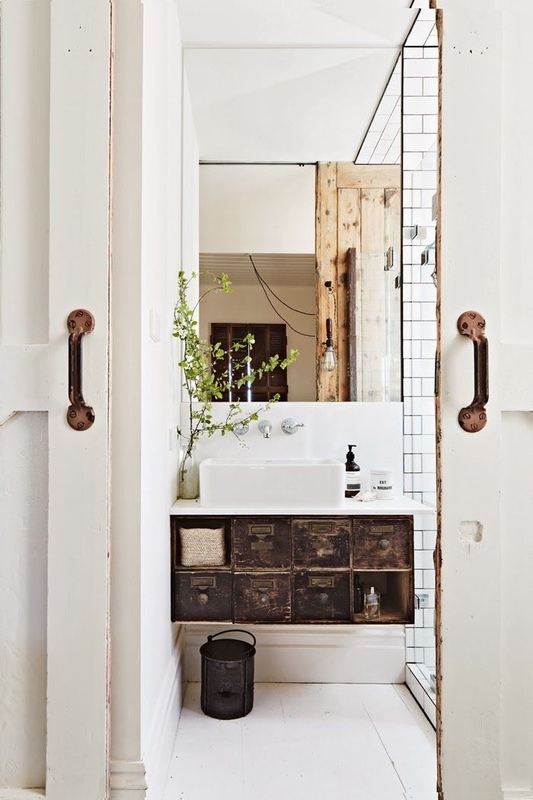 Try upcycling for a really thrifty bathroom vanity solution. 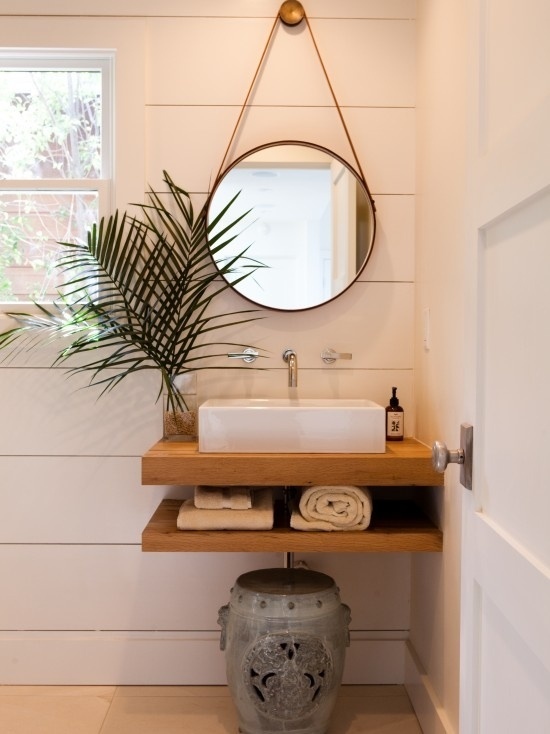 Tidy up an existing open fronted vanity unit by hiding away your clutter in easy to access pretty baskets. 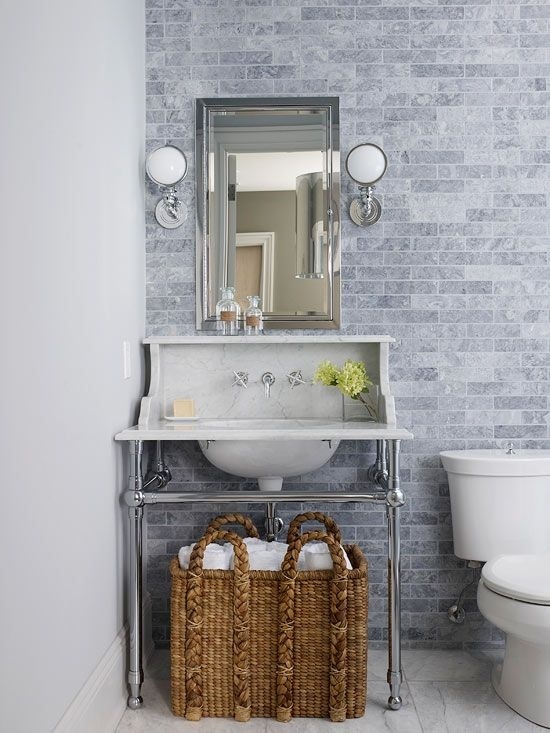 If you find your family needs extra towel storage beneath a wall mounted vanity, try including a low bench as an extra shelf. 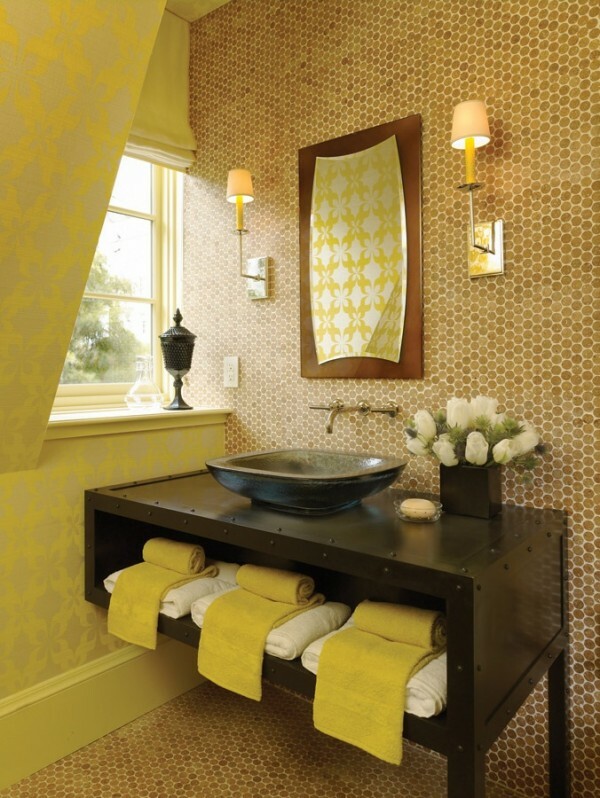 Crates on castors work a treat as extra drawer space too. 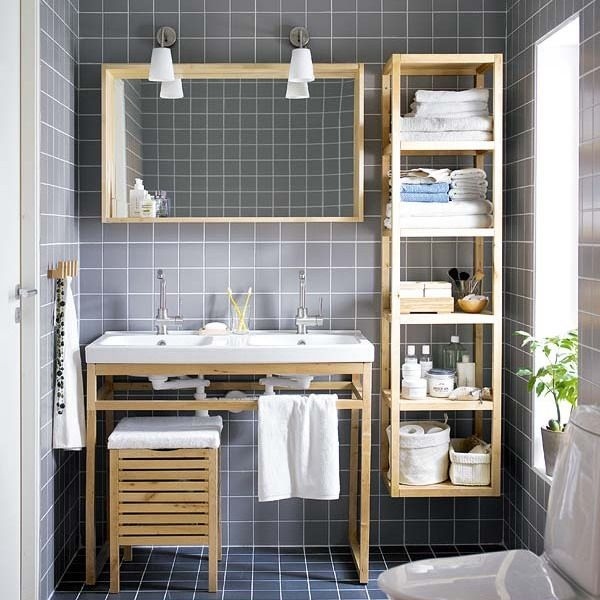 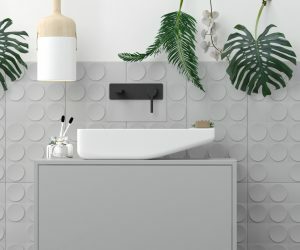 A simple bespoke wall mounted bathroom vanity station can be created with just a couple of shelves, design them as long as you please to house all of your essentials. This built-in vanity wall makes full use of the entire length of one wall to maximize on storage space. 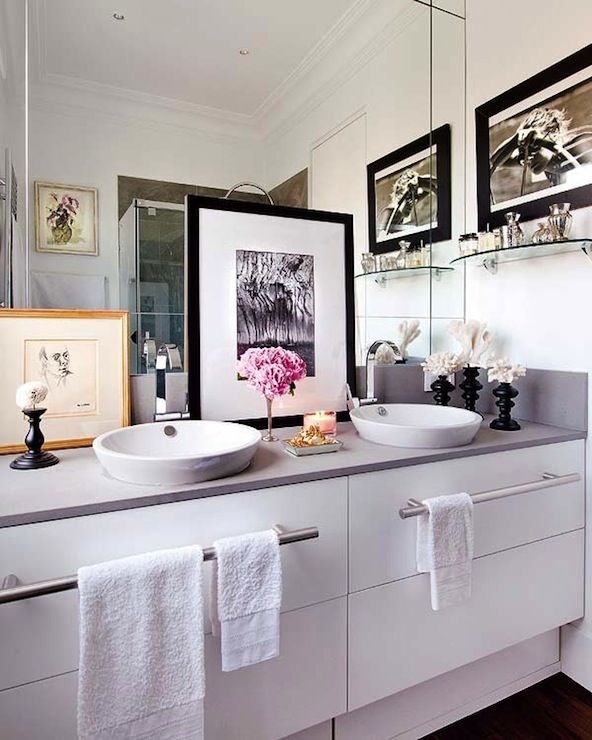 Install towel rails onto the sides of the vanity unit itself if you find yourself short on wall space–it will save radiators and door hangers from looking cluttered when there is no where else to hang them. 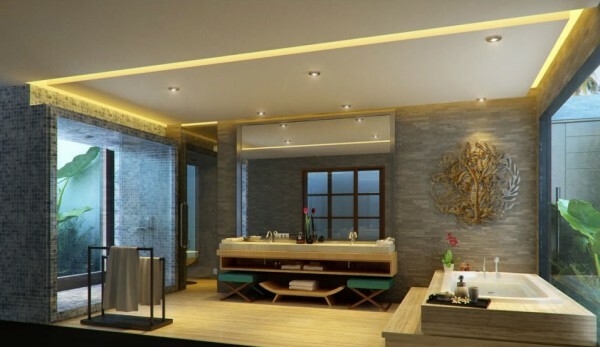 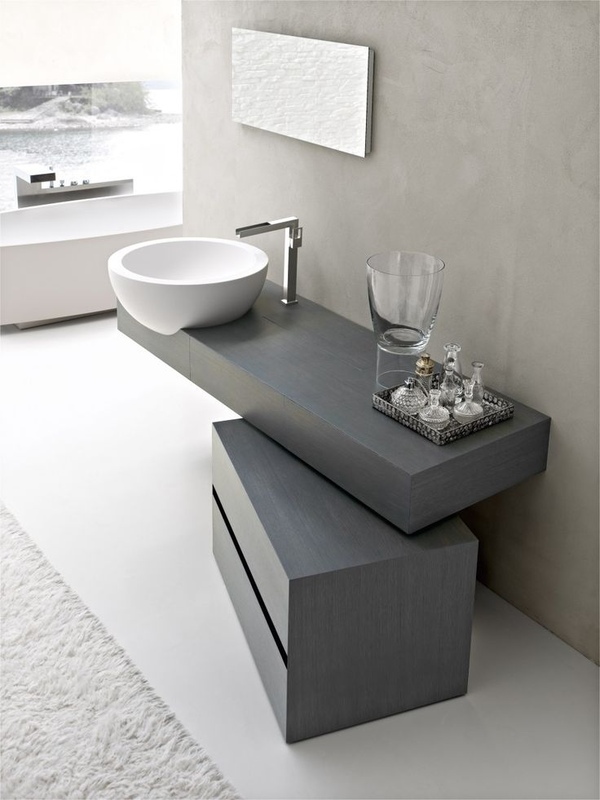 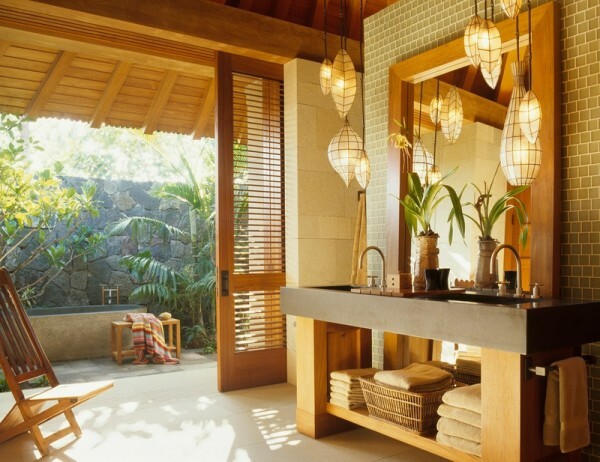 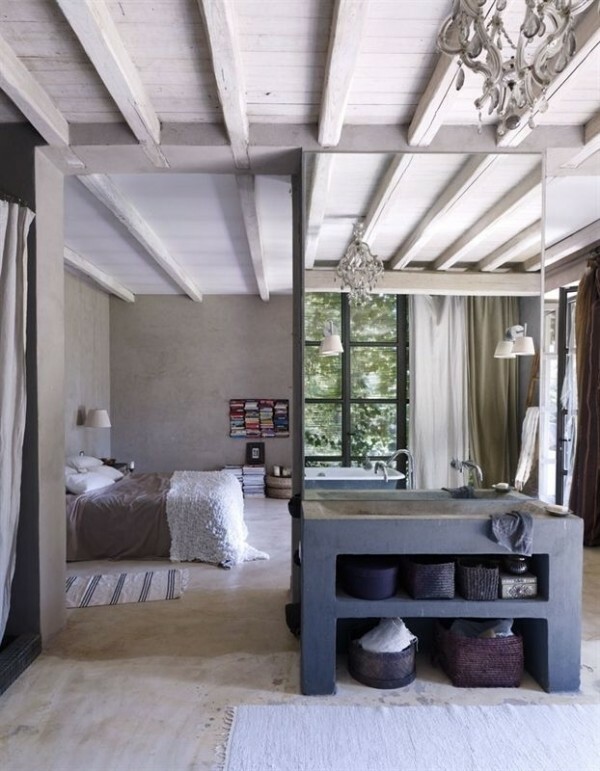 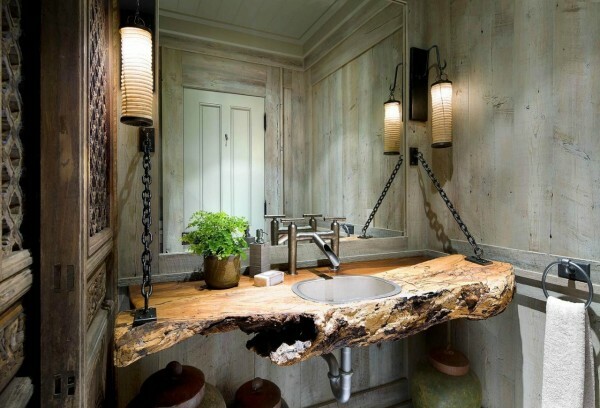 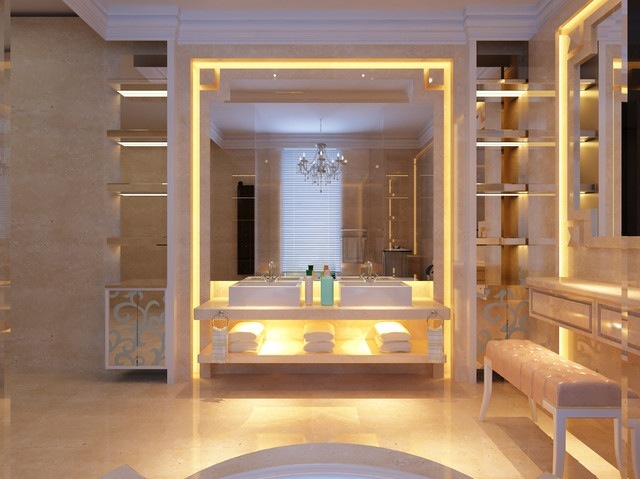 Once you have perfected your bathroom vanity vista, how about shedding some light on the newly pristine creation? 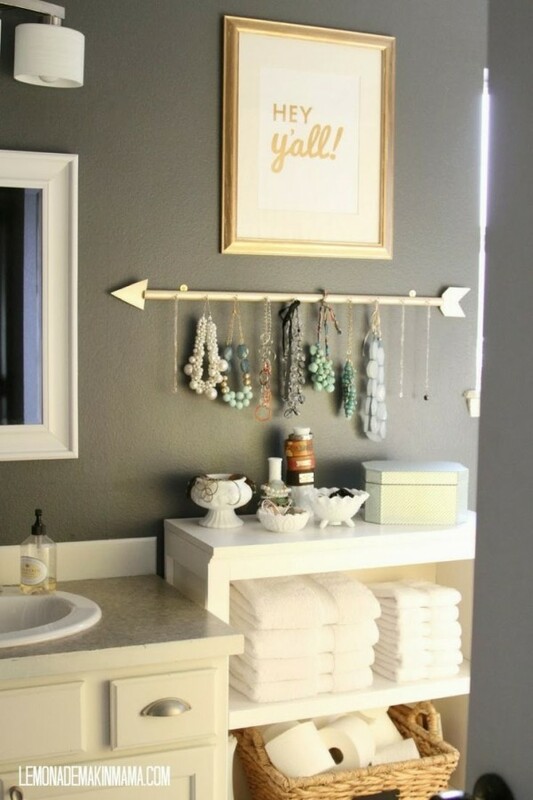 Strategically placed hooks provide opportunities for all kinds of extra storage: loofas, brushes, jewelry and more! 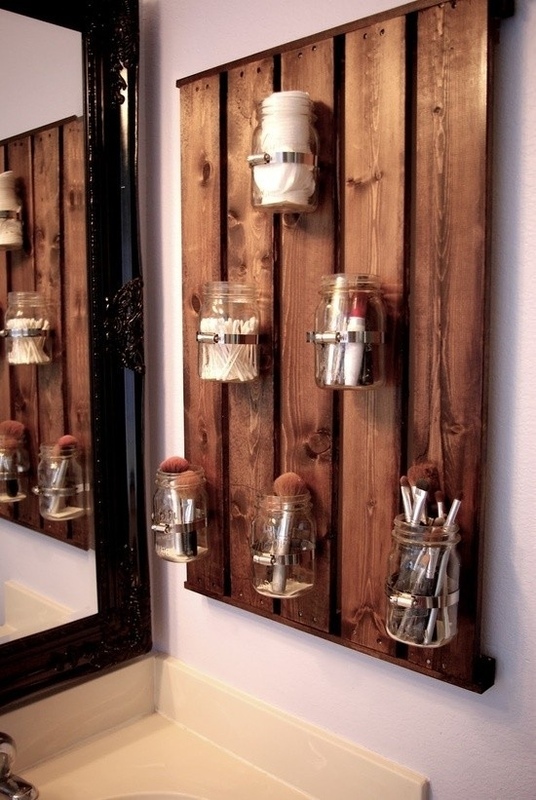 This rustic mason jar board is great for keeping makeup brushes in check. 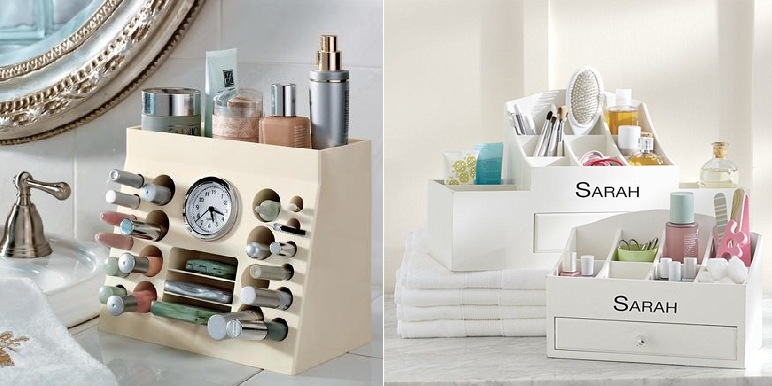 Makeup organizers can greatly reduce clutter.